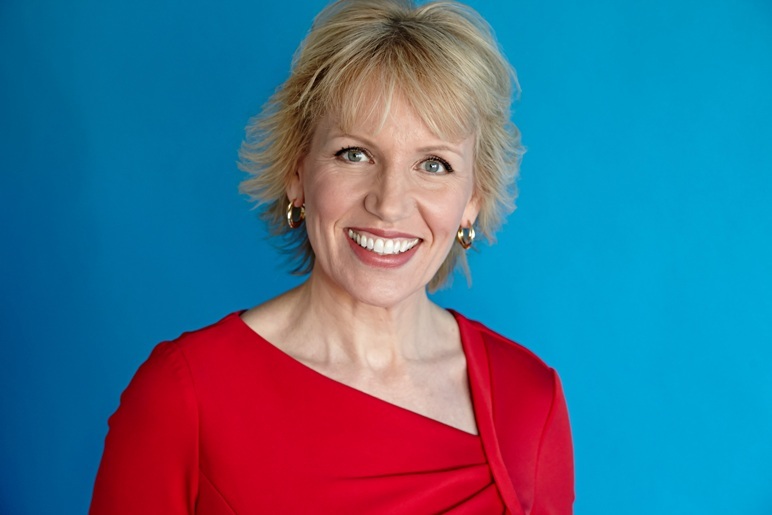 Mari Smith is hailed as the premier Facebook marketing expert and one of the most influential and knowledgeable new media thought leaders in the world. A passionate believer in the power of social business, Mari is a top online marketing expert with her innovative strategies that accelerate profits through the use of social media. Dubbed by Fast Company as “the pied piper of the online world,” Mari Smith’s international social media consultancy and training agency works with organizations and entrepreneurs around the globe. We had the opportunity to speak with Mari about how she’s managed to grow a successful business with social media and how you can too. Conscious Connection: It’s great to be with you, Mari. How is it that you got started in the world of social media marketing? Mari Smith: I was an internet marketing consultant since the early 2000’s. I also have a passion for relationships, and am a certified relationship coach. Until 2007 I was teaching classes on the topic of personal relationships, doing internet marketing consulting, and I had an email marketing information product. Then Facebook came into my life in May 2007. I loved the site, the colors, and the uniformity of profiles. What was most exciting was the ease with which you could reach around the world. Authors of books on the bookshelf, seminars from leaders, luminaries long admired, and here I am chatting with them on Facebook! It blew me away, and I decided that Facebook would be my thing. I realized that social media finally merged my two worlds – my love of the internet, and my love of people. In 1999 I moved to San Diego from Scotland,and being in a new country felt inspiring and entrepreneurial. My ‘overnight success’ was 10 years in the making. Conscious Connection: What are some tips for an effective social media business strategy? Choose two social media sites and be active on them five days a week. Have an optimized profile for all the other sites. Develop a content strategy- put up articles regularly, write a blog, use guest bloggers, and have a plan that everybody involved is aware of. The content is there to add value. Have a skilled, passionate community manager. Many businesses are ignoring posts about their company. Studies show that when followers get a response, 80% of people go on to make a buying decision. Therefore it is money in the bank to have a community manager to initiate and respond to conversations. Conscious Connection: Those are great tips. Any favorite tools for effective community management? Mari Smith: Social Bakers(socialbakers.com) have a metric they developed called Socially Devoted which indicates times to respond. All the companies that use the metric are outside of the US, showing that Europe, Asia, Australia etc. are all doing better than the US in terms of engaging with their audiences. Conscious Connection: This is something that many internet entrepreneurs struggle with. How do you go from a content rich blog updated on a regular basis to a profitable online business? What are the steps needed to make that transition? Mari Smith: Every business needs to be collecting email addresses. Email, in conjunction with social media, blogging, and contact marketing is critical. Have a strategy for what you are going to send, and deliver content right into an inbox on at least a weekly basis. This all helps to build up social equity, but there has to be a business model behind it. The founder of Social Media Examiner uses a strategy of publishing one quality blog post every day, 6 days a week. From the beginning he directed people to sign up by email to get daily blogs. He now has over 220,000 subscribers, and offers summits and online virtual webinars. He is doing exceptionally well, and is one of my role models when it comes to content marketing. I encourage people to take their knowledge and put it into formats that people can consume. Give an audience a free webinar, give them tonnes of value, then make an absolutely compelling and irresistible offer, and people will buy your service. Conscious Connection: So how do you market for this type of service — do you use Facebook ads? What if somebody doesn’t already have a list, or Facebook fans, what is the best way to market? Mari Smith: Facebook is the most targeted traffic that money can buy, but you can proactively grow your network by using a tool like Manage Flitter for Twitter or other sites. Simply punch in key words that will show bios for your target market and with a swipe of the cursor you can follow over a hundred people at a time. Twitter allows you to follow up to 1000 people a day, with a threshold of 2000 a day if 1800 of those are following you. My secret is to only follow people who clearly follow back. Identify your criteria and location, and try to get a strong local following. This is a task that could be delegated to an assistant. As you build up to do a launch, you can ask your audience to join you on other social media sites. Conscious Connection: I really like the idea of using these tools, like to manage twitter, I think that’s really great advice. One more question about internet marketing – can you give me more information about creating products and how to monetize your knowledge into packages you can sell on a larger scale? Mari Smith: I have a coaching club called Business and Beyond. It’s a blend of business coaching, and personal and spiritual development. We talk about how important it is to record yourself- every time you are delivering knowledge e.g. webinar or workshop,you record it, bundle your knowledge, and put it into package that is easily consumed by the target market. Never finish the package without making an offer. You can’t deliver everything you know in an hour- you are doing listeners a disservice by not offering follow up with webinars which they pay for. Survey your subscribers periodically, concerning formats they prefer e.g. webinars, PDF’s, audios, small groups, large groups, one on one coaching, in person, on-demand videos etc. The results from my last survey show 20-30 minute on-demand videos are most popular, as people can view them when it suits them. Conscious Connection: What do you mean by on-demand? Mari Smith: The course I’m teaching now has a 30 minute live, recorded webinar twice a week, then there is a Facebook group which provides ongoing support in between the live module. There are 700 people in the course, 200-300 join the live webinar, and the rest access the replay using a password protected membership site. There play is usually up within one hour, so they can tune in anytime they want. That’s what is meant by on-demand- it’s on their schedule when they can access it- but it’s behind a pay wall. Conscious Connection: It’s always a challenge for entrepreneurs working from home to stay motivated and focused. What inspires and motivates you on a daily basis? Mari Smith: I do my best to use humility. Social media has a lot of ego in it – we are subliminally trained to worry about scores, leader boards, likes, and number of followers. I find that I do my best to lead my business and my life from a place of humility, and lead by example, knowing that a lot of people look up to me. I like to relate to people as equals, whether they have 10 followers or 10 million. It inspires me to inspire others, to have them know they are doing a great job, that it’s not a contest, and wherever they are at is fine. I try to encourage people to enjoy the journey- you don’t need to clamber over each other to win, because there’s nowhere to get to! Conscious Connection: It’s definitely a lot of work to get to the top. What was your biggest challenge when you were starting out growing your online business? How did you overcome that challenge? Mari Smith: Scalability – actually being able to manage this growing empire that I started many years ago. I started out as a personality based brand, and I spent the last year investing in a high end business coach to build a social media agency for the corporate sector. She was extremely helpful, but I realized I don’t know if I want to go that big. I really like my lifestyle, I love working from home, and I love my freedom and flexibility. I don’t feel that I want to expand any bigger. There were a couple of critical pieces in the last few months. For example, on Twitter I was spending an hour a day doing systematic work, so I now have an assistant- every tweet that goes out she has done on my behalf. I was also spending so much time answering questions on the Facebook page, I decided to set up a separate fan page with separate administrators to answer the questions as Team Mari. The community has grown extensively as a result. When people get a response they are more likely to come back or recommend you to friends. So now I can take care of my community without burning myself out. Conscious Connection: What would be your final piece of advice for aspiring social media entrepreneurs or people that are just starting out in the world of internet marketing? What is the one key point that you would want them to take away? Mari Smith: My mantra is FOCUS: Follow One Course Until Successful. So often people get frustrated and start to give up. This is usually a sign that if you push harder and stay focused, you will get through. Remember that when you are presenting yourself online, make it obvious what you do and who you serve, that there is a human being behind the messaging, and people are more likely to do business with you. Also, be a specialist, not a generalist. Pick one skill you are most passionate about and follow it.